It’s almost that time of year, the Christmas trees are growing, the Thanksgiving food is cooking and it is almost time for another Star Wars movie. What better way to add to the holiday than to see Rogue One: A Star Wars Story with someone you love. In the mean time, Rogue One: A Star Wars Story has released some new footage via a recent TV spot that is sure to continue your hype for the movie. Is it just me, or are studios now releasing more TV spots than ever before? If you thought that was nice to see, wait until you see these high def banners that are slowly starting to promote this as the most visually stunning Star Wars movie yet. . .
See Rogue One: A Star Wars Story December 15th as we hope this solo Star Wars film can prove that spin-offs are a good idea. 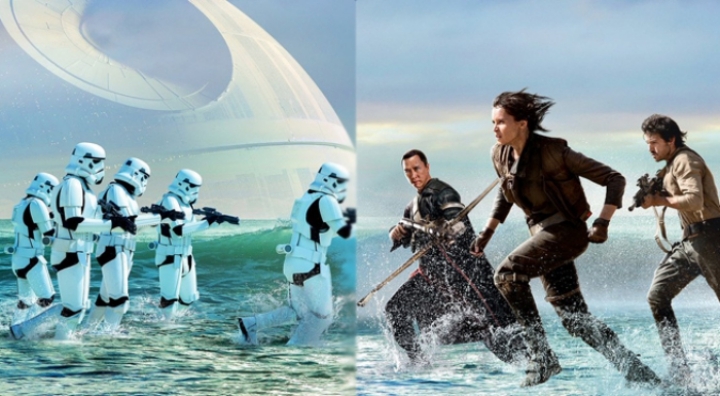 . .
Also, check out why Rogue One: A Star Wars Story will be better than The Force Awakens.